Before you start creating and sending invoices in Sportlyzer, we'd like to give you a general understanding about how things work and what is possible (and what isn't). After reading this article you will have a better understanding of how invoices work in Sportlyzer and how it can be the right tool for your club. The first thing you need to know is how the process is set up. No matter what type of invoices you are thinking about, you will go through these steps with every invoice you create. You are able to create invoices for a big number of people at once. You can apply the same fee for everybody or specify different fees based on attendance or individual discounts. Athletes can specify their billing address, which lets you always have up-to-date information and makes it easy to send invoices. You can also create invoices for people or organizations outside of your club. Your invoices will have your club logo and signature on them. You can add one or many bank accounts as well as customize the date or invoice description. In most cases, you need to send invoices out in order to collect the payment. Each athlete can specify their billing contact(s) to whom invoices are sent. You can also download invoices and send them to the person directly. The preferable way to collect payments is importing your bank statement and matching the payments with the invoices. Parents can pay for multiple children with just one payment. Athletes can pay in advance or by cash. The athlete balance will change automatically and you can send reminders to people whose payment is late. There are different ways to organize invoices into groups or projects. They work in a similar fashion but in order to really succeed you should know when to use them. Groups automatically organize athletes and help you create more invoices for the whole group faster. You can have separate groups with different prices. When athletes join a group they are automatically added to the group in the invoices tab as well. You are also able to add single invoices to groups (e.g. if your athlete joins your club in December, but you need to invoice him for his training in November). Projects are for training camps, competitions or special events. If you organize a cross country skiing trip for 30 athletes + parents from different training groups you want to organize all invoices related to the trip in a single project. The same applies to selling club T-shirts, camp fees, etc. You can add additional fees for each project member and add single invoices for other organization or sponsors. When you are finished with collection payments for the project you can finish it. Finished projects are automatically organized in a separate section. Single invoices help to deal with all invoices, which won't fit directly in any of the previous topics. You can create one-time invoices for anything you like and keep them separated from your groups or projects. You can also create single invoices to add them to specific groups or projects without having to add that member to that group at all. All invoices of all groups and projects are automatically organized in months. You don't have to make an extra effort to separate your group fees from January from the group fees from February. If you collect group fees only every 4 months or once a year, you can also consider creating a separate project and close it once all invoices have been paid. In the overview, you are able to see your income of each group month-by-month. Creating and organizing invoices is just half of the deal. The underlying purpose of this feature is to help you collect more money efficiently and track the payments conveniently. 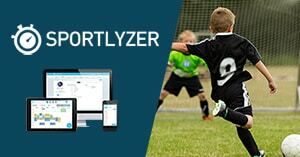 With Sportlyzer you get detailed payment records of all your athletes, which links all payment records to the athlete profiles and makes it impossible for you to miss an unpaid invoice.